For dinner tonight, Alice decided she wanted pizza and she wanted to go to a new place. 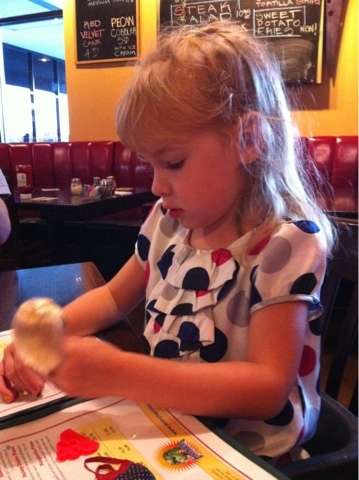 Although not new to Larry and me, we took Alice to Mangia Pizza. She stayed seated, ate and played with her doll Blythe except for the potty break in which she chanted "I gotta to the potty" over and over while walking through the restaurant to the other customers amusement.